I hate being sick, not that, I'm sure, anyone actually likes the experience. Four days later and I'm only just recovering enough to uncurl from my ball of misery. i wouldn't actually mind so much except, i had plans for this week, and it the busiest time of year for me, a few days off sets me back alot. Why cant i get sick midwinter, when things arnt so hectic? 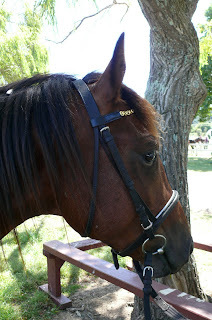 ?I was going to start riding the stallion, Matai again. There is to be a 5 hour trail ride this weekend, organised as a fundraisers, for the recent earthquake appeal, and it was my goal to take him on the ride, as it would be a really relaxed fun event, through some beautiful coastal scenery. Alas, i don't think either if us will be quite up to it. Although Matai is amazing temperament wise. He is still to young to be dragged out of the paddock after weeks of no work, and be expected to behave, stay focused with mares and other horses all around, and with know real riding fitness, i don't want him getting saddle sore.